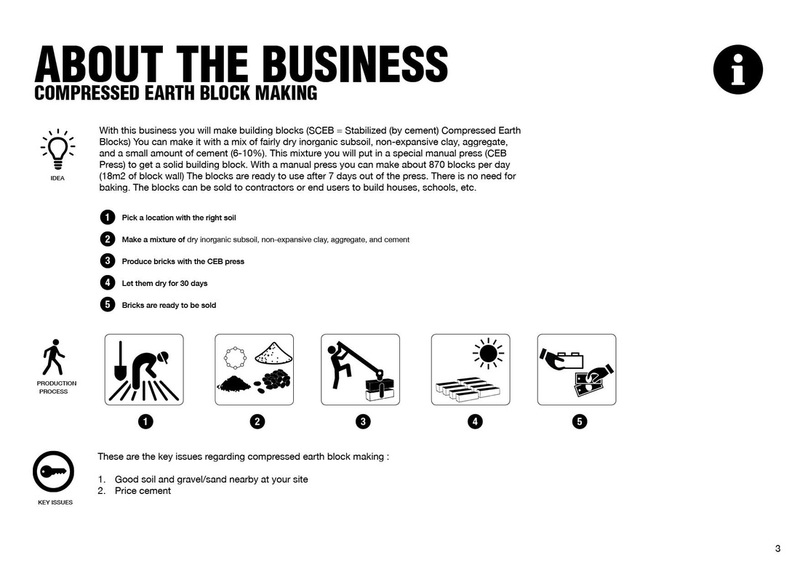 With this business you will make building blocks (SCEB = Stabilized (by cement) Compressed Earth Blocks) You can make it with a mix of fairly dry inorganic subsoil, non-expansive clay, aggregate, and a small amount of cement (6-10%). 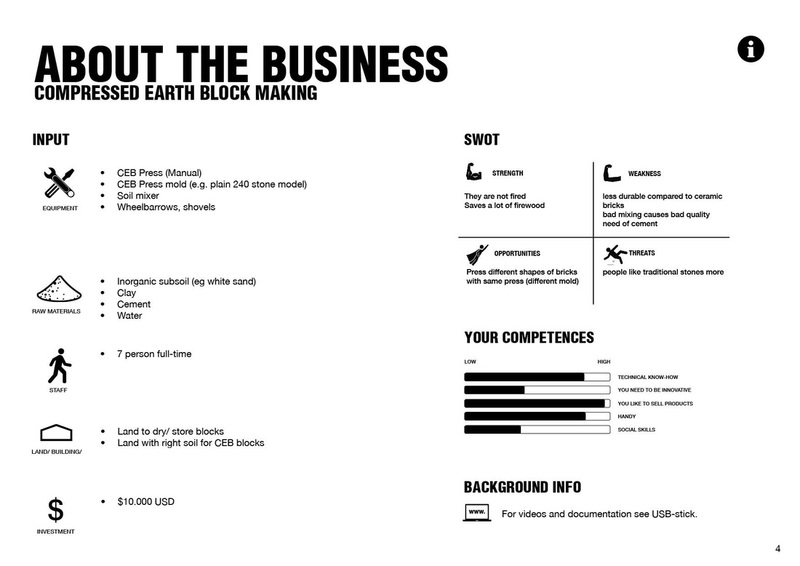 This mixture you will put in a special manual press (CEB Press) to get a solid building block. 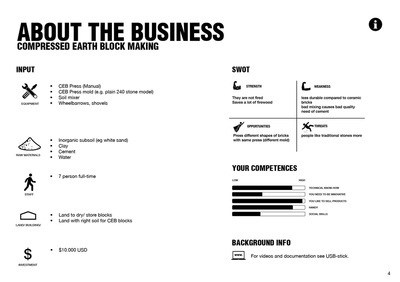 With a manual press you can make about 870 blocks per day (18m2 of block wall) The blocks are ready to use after 7 days out of the press. There is no need for baking. 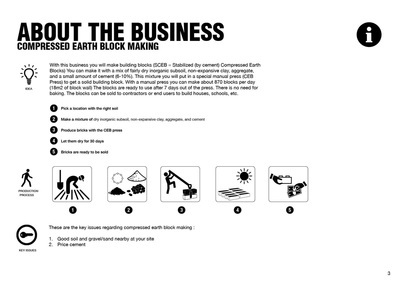 The blocks can be sold to contractors or end users to build houses, schools, etc.